2018 Ford EcoSport For Sale In Vernon, Kelowna, Okanagan, BC. Revolutionize your driving experiences in the all-new 2018 Ford EcoSport. Through an athletic four-door design and spacious seating for up to five people, this model emerges as the perfect companion to a busy lifestyle. Available trim levels include the S, SE, Titanium, and SES. Reimagine your driving world as you encounter the effortlessly cool and capable 2018 Ford EcoSport. Through a series of innovative and luxurious features, this vehicle brings you into a realm where anything is possible. Utilize convenience-enhancing details such as push-button start as you streamline your daily routines. 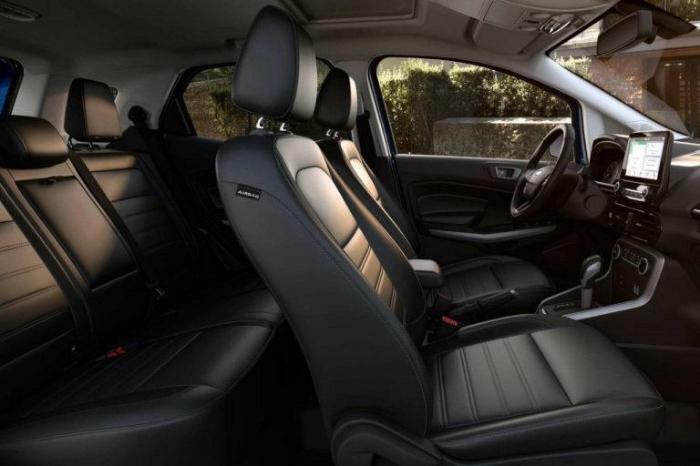 Relax on the sophisticated available partial-leather-trimmed and heated front bucket seats as you say goodbye to chilly mornings and hello to constant comfort. You are also given the available heated, and leather-wrapped steering wheel with mounted cruise and audio controls so that you can access your settings without removing your hands from the wheel. 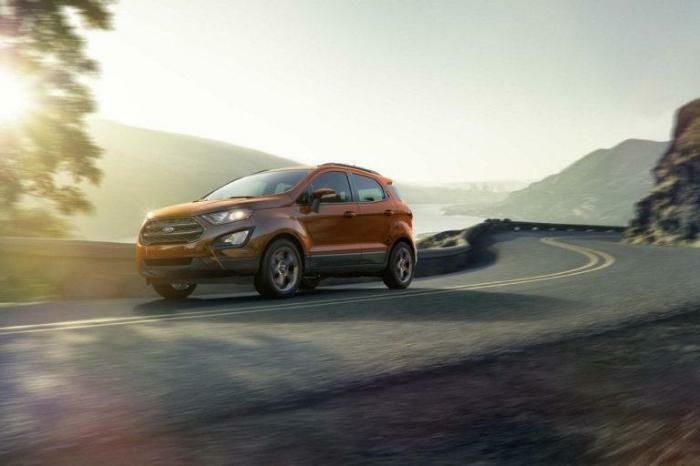 On the outside, the 2018 Ford EcoSport combines a smaller and aerodynamics structure with a refined sense of elegance. Arrive in style on the available 17" Dark Tarnish Metallic-Painted Aluminum Wheels as you grab attention through the magnetic painted bars of the upper grille. Visibility is enhanced with the optional halogen quad-beam projector headlights with LED signature lighting as you drive into a range of weather conditions with confidence. Stay in the loop as you drive the 2018 Ford EcoSport thanks to a variety of innovative features that make sure you are never distracted from the road. 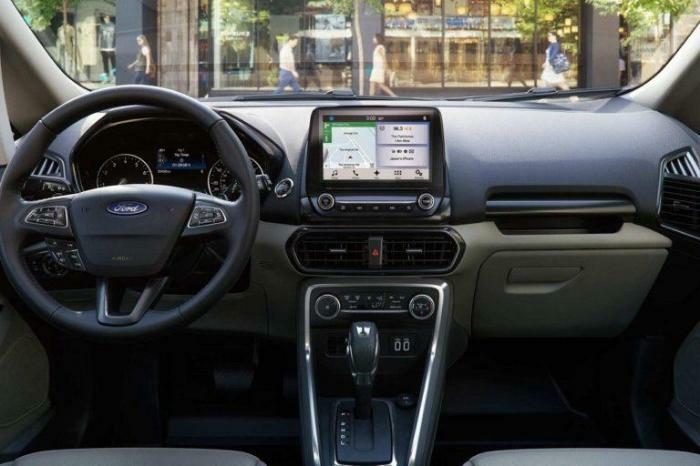 Utilize the available SYNC Connect System powered by FordPass as an optional 8” touchscreen combines with the technology of Apple CarPlay or Android Auto for hands-free calling, messaging, music search and more. Enjoy the freedom of an in-vehicle Wi-Fi hotspot for up to 10 devices, as you embrace the ability to be connected anywhere you go. The sky is the limit as you explore with the available Voice Activated touchscreen Navigation System, providing you with turn-by-turn directions to a range of destinations. For each unique driver of the 2018 Ford EcoSport, there is a series of Genuine Ford parts and accessories to help accentuate different aspect of performance, protection and convenience. Utilize a range of interior enhancements such as floor mats, seat covers and cargo organizers, or amp up style through wheel enhancements, hood deflectors and more. 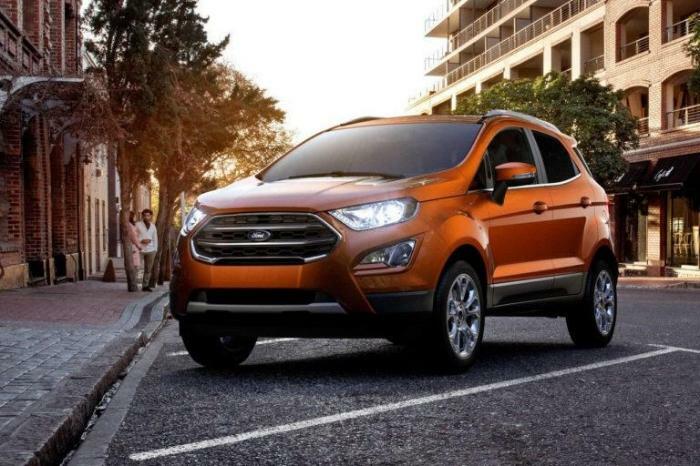 Modern performance is made available with the striking new 2018 Ford EcoSport as you increase agility and efficiency through its sleek and compact design. With two engine options available you are given fluid performance. Engage with responsive handling and maximum control through the 6-Speed SelectShift Automatic Transmission, as you make the most of every journey on the road. Some conditions may apply. Watkin Motors Ford for full details in Vernon, British Columbia, Canada. Groundbreaking technology, innovative design details and immense quality comes forward with the 2018 Ford EcoSport. You no longer have to choose between functionality, efficiency and power, as this vehicle combines the best features together to create an inspiring model fit for your lifestyle. Explore the 2018 Ford EcoSport at your local Vernon Ford Dealer – Watkin Motors Ford. through a combination of expertise and inventory, ﻿﻿﻿﻿﻿﻿﻿﻿﻿﻿Watkin Motors Ford﻿﻿﻿﻿﻿﻿﻿﻿﻿﻿ can help you find exactly what you are looking for. Book a test drive today!